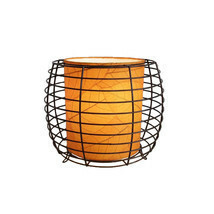 Eangee Home Design Indoor Outdoor Fossilized Cocoa Leaves Konani Orange Color Table Lamp Made in Philippines Dimensions: 12 x 9 x 9 Inches (L x W x H) Konani is a Hawaiian name that means "bright." This lamp series aptly features bright cocoa leaves wrapped in horizontal fashion around a central cylinder. The natural leaves are set in contrast with strong aged copper metal. Features large fossilized cocoa leaves that are handplaced on a standard UL lamp backing and then laminated, creating a cylindrical inner diffusor. 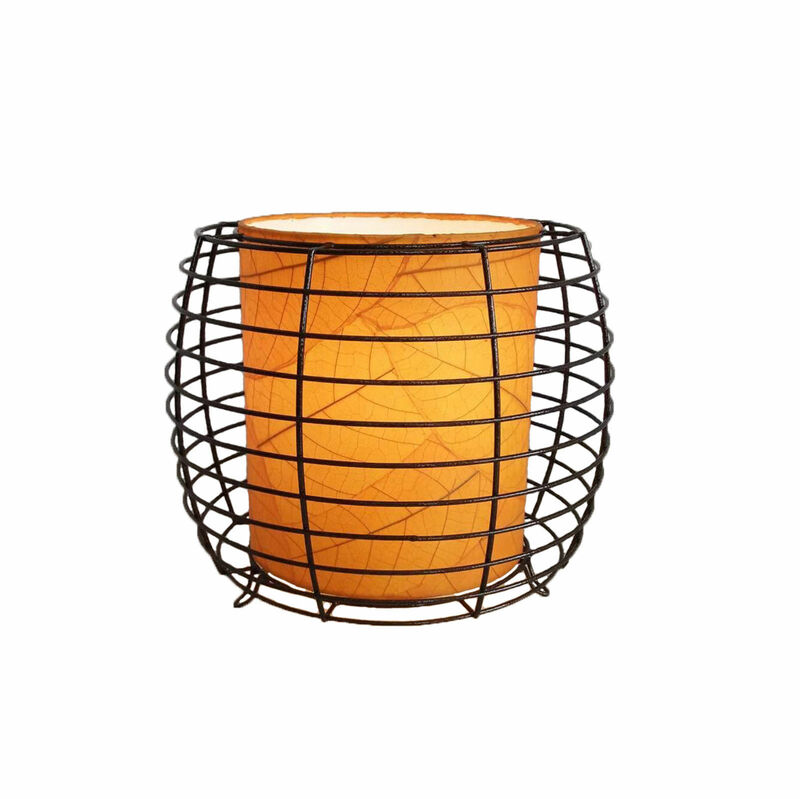 This diffusor sets within an outer powder coated, wrought iron frame. This lamp features a built in outdoor, LED lighting system designed to last 15 to 20 years. Designed to get wet, it’s perfect for a patio or porch. Each bulb produces 800 lumens of light (similar to a 60-watt bulb) at a color temperature of 3000K. The lamp should be brought inside when temperatures are below freezing. Do not submerge the lamp or electrical in water and contact the manufacturer if the bulb is compromised.